There are some amazing kids in this world, who truly want to help victims of cancer. I'm not talking about the kind of kid who buys a trendy and subversive bracelet that announces their love of boobies. I'm taking about kids who are actively trying to raise money to help researchers prevent and treat cancer. 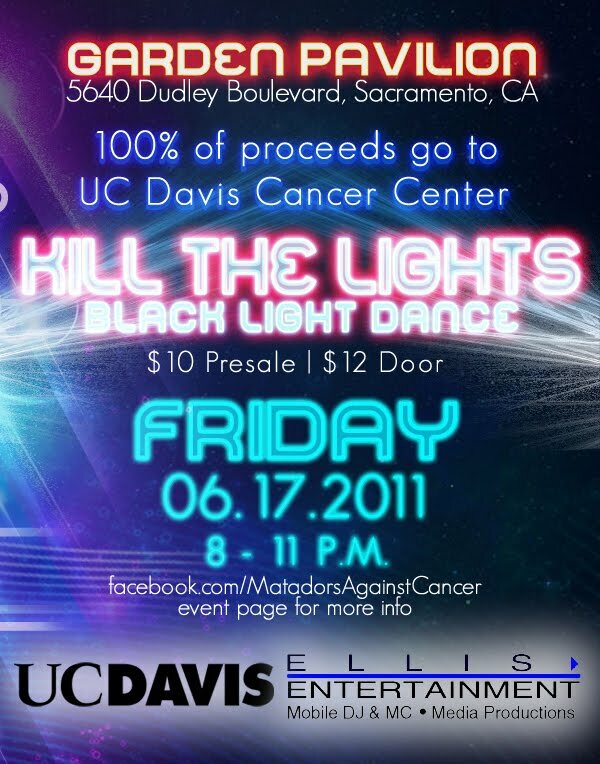 One such student contacted me to tell me about a dance party she is arranging to raise funds for the UC Davis Cancer Center. This party is designed to appeal to teens, with full lighting, a DJ, giveaways, and a great venue. It runs from 8 to 11 on June 17th, and yes, parents, it will be fully chaperoned. 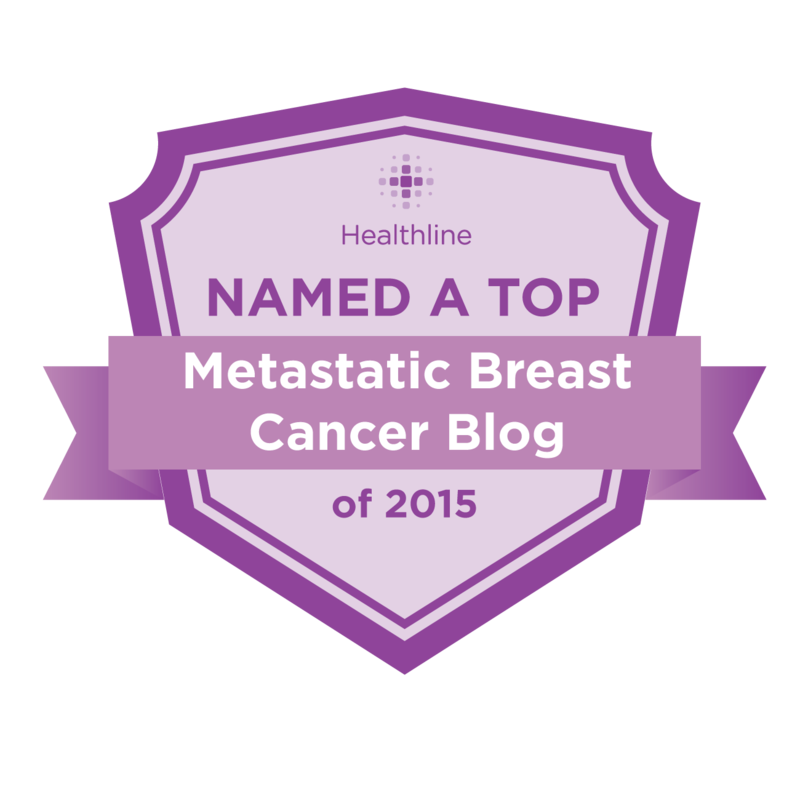 I wanted to incorporate the 3 themes of American Cancer Society: Celebrate, Remember, and Fight Back! The "celebration" part is the dance, and the "remember" part will be a glow stick song, where everyone can wave them in the air for one song while they remember those that have been touched by cancer. Finally, the "fight back" will have a little ceremony at the end, where I encourage those to empower themselves to do more; whether it is through participating at a Relay for Life, making their own American Cancer Society club, or doing a fundraiser. There will be an American Cancer Society adviser at the event with an information table. I really wanted to throw a fun party that raised money for an important cause at the same time. Many relatives of mine have passed away or been affected by cancer in some way, so I felt personally, it was my chance to give back and take action. No dumb bracelet for this remarkable young woman. If you are a young person, or parent of a young person in the Greater Sacramento area, please consider attending (or allowing your child to attend) this event. It will be chaperoned and it will be safe. It promises to be a fun party that will also help a lot of people. If you can't attend, why not just donate and make this girl's desire to help successful? If nothing else, please print the flyer and pass it along to anybody who may be interested. You hear so much about the negative side of teenagers, but in my job I see remarkable young people doing wonderful things - every single day. You would have no fear for humanity if you could see the caring, intelligent, thoughtful young adults that I am privileged to see. 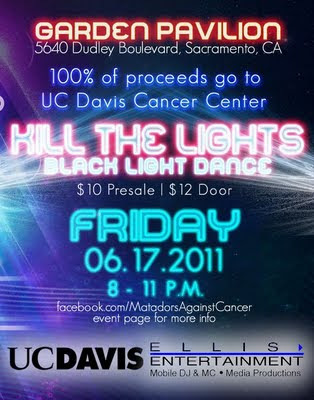 Sacramentans, please tweet this out and lets get it in the hands of young people who will have a great time. WOW!! What a special young woman! Incredible! It's true that so much of the time teenagers are depicted as not caring and selfish. This is such a wrong assumption, as your posting indicates. Thank you so much for bringing this to my attention. I live some distance north of Sacramento, but I can get the word out. Teens are so often portrayed unjustly as uncaring. A teen girl whose parent is a friend of mine chose as her high school senior project to do volunteer work for our local Relay for Life and selected me as her mentor. She now goes to UC Davis, so I will definitely let her know! Jan, that is amazing, thank you so much! Definitely let her know and have her spread the word. I hope it's a fun party that raises a lot of money!